San Francisco: Conceptual Network Economics, 1984. Paperback. 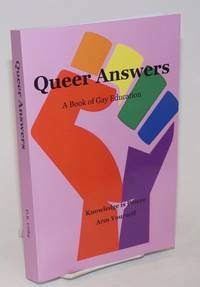 144p., 8.5x11 inches, illustrations, listings, local ads, maps, very good LGBTQ phone book and business reference, paperback in blue pictorial wraps. First in a yearly series of guides to LGBTQ businesses and services in San Francisco and the greater Bay Area. 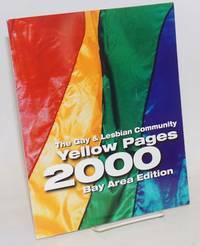 San Francisco: Community Yellow Pages, 2000. Magazine. 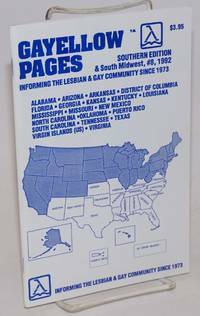 90p., 8.25x10.25 inches, phone listings, services, resources, ads, very good magazine in glossy rainbow flag pictorial wraps. Premier edition. Berkeley: University of California Press, 2016. 466p., hardcover, internal rubberstamp indicating it was rejected as a surplus duplicate from a library, other wise very good. Useful for historical geography. 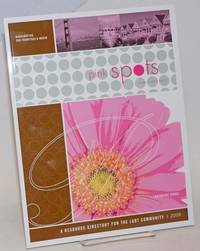 San Francisco: The Pink Spots, 2009. Magazine. 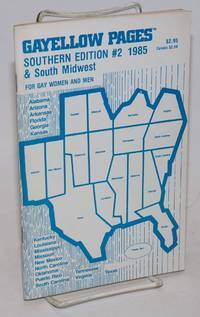 76p., 8.5x11 inches, LGBTQ business listings, maps, ads, very good glossy magazine-format resource guide in pictorial wraps. Hampstead: World Leisure Corp, 1998. Paperback. 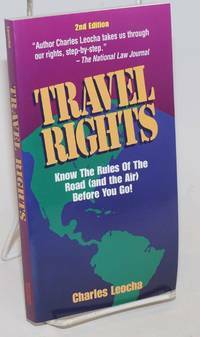 192p., introduction, services and resources, very good second edition pocketbook paperback guide in pictorial wraps. 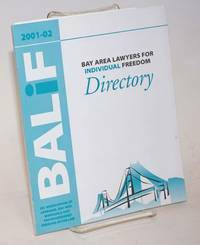 San Francisco: BALIF, 1991. Paperback. ii, 72p., 7x8.5 inches, introduction, listings, ads very good paperback in light blue and white wraps. San Francisco: Press of the Francis-Valentine Co. for Charles C. Hoag, 1898. Hardcover. 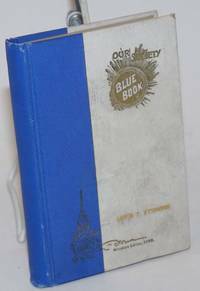 196p., b&w ads scattered throughout text; small hardbound item, gilt-titled white paper over boards backed by a wide dark-blue cloth spine, text printed smallpoint with glazed skyblue prefatory leaves bearing special ads in red and gold; 5x3.5 inches. A pretty good copy with these faults : a binder's error fastened ffep gutter to both casing and textblock (causing a tear and putting this free leaf at risk; rear hinge okay); cover somewhat handling-soiled; minor edgewear to margins of casebinding. In all other respects quite sound, and unmarked except for gilt-stamped cover ownership of one Lewis F. Byington (his family lists amongst "the socialites"). Fyi, the ads are pedestrian, though the terminal-endsheet corsets are necessarily breath-taking. Springfield: Odd Fellows Herald Print, 1927. 45p., 3.5x5.75 inches, worn and creased wraps, staples rusted, red pencil writing on title page, a reading copy. Writing on title page gives former owner's name and notes "ancient member of this order for near 60 yrs". 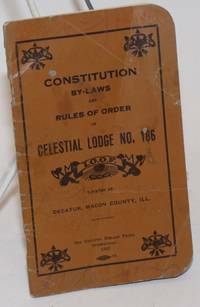 The I.O.O.F is the Independent Order of Odd Fellows, at one time a popular fraternal organization rivaling the Freemasons in membership numbers. This is a well-worn reference booklet explaining how the order is organized and rules to be followed by members. Deal the First Deadly Blow! 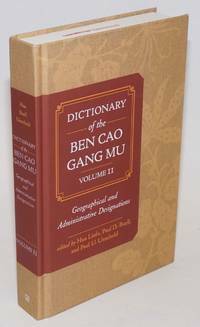 Encyclopedia of Unarmed and Hand to Hand Combat! ..Department of the Army Field Manual 21-150. 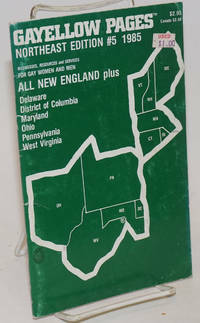 Commercially reprinted. Wickenburg AZ: Normount Technical Publications, 1970. Paperback. 332p., oversize softbound in 10x8 inch decorated wraps; throughout a running text find profuse fullpage b&w illustrations showing the same two guys in combat poses with artist-added "swoosh-" and force-lines. Cover a little handled and edgeworn with some smudging, but entirely sound, clean and unmarked within, a very good copy. The combat bookshelf. This trade reproduction of the US military first issue has added exclamation marks to cover titling. It doesn't need em; amazingly savage instructions, and these posed illustrations should suffice most imaginations. San Francisco: the Association, 1993. Paperback. 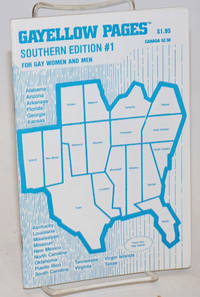 112p., 3.75x8.5 inches, listings, very good booklet/guide in pictorial blue printed wraps. 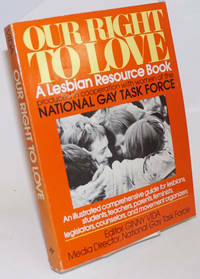 LGBT business association. New York: Renaissance House, 1979. Magazine. 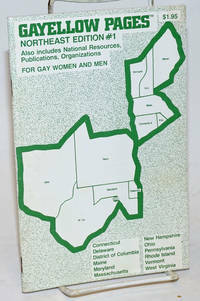 64p., 5.5x8.5 inches, information, phone numbers, addresses, services and resources, illustrations, ads, very good booklet in stapled green & white pictorial wraps. Englewood Cliffs: Prentice-Hall, 1978. Paperback. 318p., 8.5x11 inches, profusely illustrated, very good first edition trade paperback in pictorial orange wraps. New York: Renaissance House, 1985. Magazine. 64p., 5.5x8.5 inches, information, phone numbers, addresses, services and resources, illustrations, ads, very good booklet in stapled white pictorial wraps. New York: Renaissance House, 1992. Magazine. 64p., 5.5x8.5 inches, information, phone numbers, addresses, services and resources, illustrations, ads, very good booklet in stapled white pictorial wraps. New York: Renaissance House, 1980. Magazine. 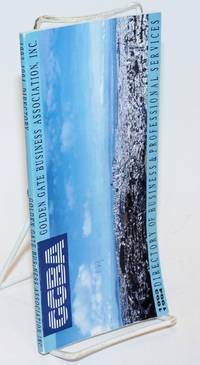 64p., 5.5x8.5 inches, information, phone numbers, addresses, services and resources, illustrations, ads, very good booklet in stapled white pictorial wraps. New York: Renaissance House, 1980. Magazine. 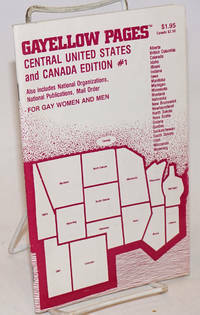 64p., 5.5x8.5 inches, information, phone numbers, addresses, services and resources, illustrations, ads, very good booklet in stapled purple and white pictorial wraps. New York: Renaissance House, 1985. Magazine. 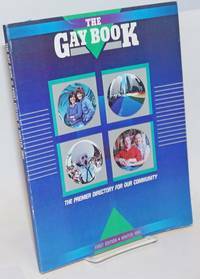 64p., 5.5x8.5 inches, information, phone numbers, addresses, services and resources, illustrations, ads, very good booklet in stapled green pictorial wraps. Stanford, CA: A Woman's Guide Collective 78/79, 1978. 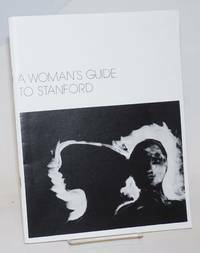 53p., 8.5x11 inches, introduction, history of undergraduate women at Stanford, academics, residential life, organizations, athletics, health, security, illustrations and photos, bery good booklet in stapled white pictorial wraps. Olympia: Thoth & Seshat, 2018. Paperback. 358p., fine second edition trade paperback in lavender pictorial wraps. 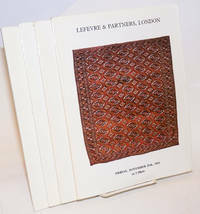 London: Lefevre & Partners (Auctioneers) Ltd, 1983. Paperback. Matching formats, slick 10.5x7.5 inch high-gloss alkaline covers and paperstock throughout about equally divided between b&w and color exhibit photography; unpaginated but substantial paperbound fastenings anywhere from forty to ninety pages. Three of the cats have, laid in, lists of both estimated prices and prices fetched, with perhaps another leaf or two (forthcoming sales, added lots, absentee bid forms), but '85 cat has the 'fetched' but not 'estimate.' Good clean copies (no handwriting that we see) with a bit of edgewear and mild bumping of corners.